Susan Harris and Peggy Brown demonstrate how the human skeleton is put together and how it performs in harmony with the horse. Approx. 48 mins. This DVD takes training into a new era. The ability to see a horse from all angles, plus from inside and out, performing movements helps riders take away a better level of understanding about what they are trying to achieve. Vol 1 is entitled 'Balanced Beginings'. 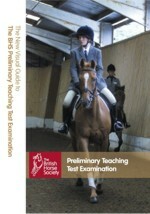 'Masterclass' brings you top tips from six of the equestrian world's leading experts from across a range of disciplines. Paralympian, Natasha Baker - How to make the most of your horse's walk. See behind the scenes at the yards and homes of some of the equestrian world's biggest stars. Natasha Barker: Grade II Double Gold Paralympic Dressage Rider Natasha shows us round her yard and shares stories of growing up and competing with a disability. Tina Cook: Top International Eventer Tina introduces us to 2 of her horses and shows how she trains alongside her brother, rachehorse trainer Nick Gifford. Louise Bell: Show producer Louise is a working hunter expert, meet her horses and find out how a horsebox accident changed her life. 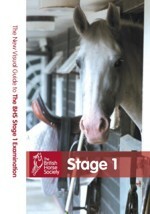 Richard Davison: One of Great Britain's most successful dressage riders, Richard, gives a yard tour. Trevor Breen: One of Ireland's top show jumpers, Trevor introduces his team of horses and family. Jock Paget: Top Kiwi eventer Jock tells all on his success from bricklayer to Badminton and Burghley winner. Filmed exclusively at Warwickshire College these DVDs are presented by Chief Assessor Patrick Print FBHS who, comments at regular intervals throughout the exams highlighting both the candidates strengths and weaknesses. He also talks to the assessors at the end of each section and they offer feedback on various aspects of the exam. 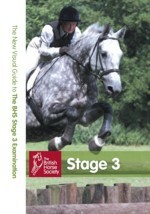 Any prospective candidate will find this series to be an invaluable aid when preparing for BHS examinations. 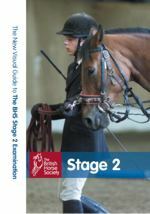 Learn how to load your horse in 3 easy stages, plus a step by step guide to reinforce the main instruction points. Approx 75 mins. An audio to improve your lungeing technique with International Showjumper Tim Stockdale. Listen while you actually lunge. Approx. 60 mins. British Eventing Team Manager Yogi Breisner is joined by European Eventing Gold Medallist Tina Cook as they work with a number of ex-racehorses on the flat and over the jumps. Approx 105mins. 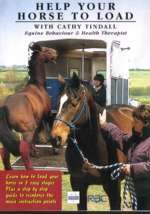 Retraining of Racehorses (RoR) is British horseracings official charity for the welfare of horses who have retired from racing.